Imagine rummaging around in the backyard of some old house and discovering one of those pieces of machinery known as a "dream car" under a tarp or buried in straw. The concept of barn finds has blown up in the last few years, with plenty of websites and streaming channels dedicated to the art of finding and fixing up some long-lost relics of automotive history. It's a serious question whether the craze is attributable to the boring selection of models available on the new car market today or whether this has always been happening, and is simply seeming to grow because the internet has allowed for increased access to rumors, innuendos, and the display of great finds. Or maybe, barn finds have become the last way to actually own those dream cars of old now that values for classic models have begun skyrocketing into the stratosphere. For every great barn find that makes headlines because of rarity, value, and age, however, there is another that will never stir up any excitement because the car, model, or condition simply don't attract the potential buyers willing to undertake a restoration project. Regardless, the excitement that builds up into a pulse-pounding throb once that first taillight peeks out from behind a horse stall has a world of enthusiasts hooked. Keep scrolling for 13 of the best barn finds ever, and 12 barn finds that should have stayed in hiding. Imagine digging in an old barn and finding one of the most iconic cars ever built, with that gigantic wing just sticking up from the dirt and filth to pique the beginnings of imaginative fancy. Surely, one would think, there's no way a Plymouth Superbird would have been left out here to suffer the ill effects of time. Surely not. And yet, this 1970 Plymouth Superbird was hiding in Elkhart, Indiana, and its four-barrel 440ci V8 hadn't been run between when it was parked in the 1970s until it was discovered in 2017. Sometimes, barn finds can be so rare that they are almost unrecognizable to the modern car enthusiast. Take the case of this 1937 Bugatti Type 57S Atalante, which was discovered by the children of a Dr. Harold Carr in 2009. Besides thinking that maybe this could be a replica car of Cruella De Vil, how could the children hope to comprehend that what they were looking at was one of the most sought-after, historically significant, and valuable pieces of the automobile's long and storied past? Carroll Shelby had a hand in making some of the best cars ever to roll on four wheels. Some of the highlights of his career include the Cobra, the Ford GT40, and the Shelby Mustang GT350 and GT500 muscle cars. The man known as "the chicken farmer from Texas" became one of the most celebrated automobile builders after a career in motorsport, though one of his least-known creations was the Daytona Coupe. The car was built between the Cobra and the GT40, with the goal being that a hard top could take on Ferrari with better aerodynamics. Only six were built, and somehow this one went missing for around 40 years before being found in La Habra, California, in 2001. In the background of this picture sits Carroll Shelby's original contribution to automotive history, the Cobra. He had teamed up with Ford and UK-based automaker AC to build the Cobra, all with the purpose of taking on Ferrari at their own game in motorsport competition in Europe. In the foreground sits one of the most valuable barn finds ever to reawaken into the light of day, a 1966 Ferrari 275 GTB. The two cars were discovered in early 2018 and together are valued at around $4 million. 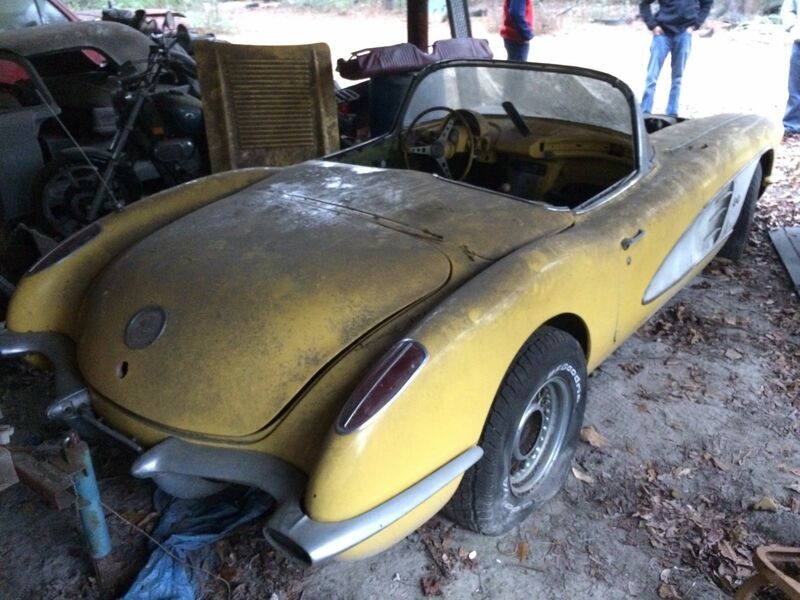 Many drivers wouldn't recognize this barn find if it was sitting right in front of their local Starbucks. They'd probably assume it was some sort of rare Ferrari or Lamborghini, but the Iso Grifo is a car that was built in Italy and used a Detroit powertrain built out of parts from Chevy and Ford. This 1967 Iso Grifo is especially rare because it is right-hand drive and hopefully, its Chevy 327 was still able to roar if the buyer who purchased it at auction in 2016 was able to complete a restoration. The world of barn finds has always been huge in Porsche circles because so many classic Porsches seem to have been parked, forgotten, and left to wither away. But their air-cooled simplicity and readily available parts support from Porsche means they're (often but not always) not too difficult to bring back to life, and Porsche snobs love to brag that 75% of the cars ever to leave Stuttgart's factories are still on the road. This early-production Porsche 356A 1500 GS Carrera Coupe was pretty ratty after sitting in a Texas garage from 1983 to 2018. With the right love, it could be back up and running soon. One of history's most significant barn finds took place in France, where a wide range of vehicles known as the Baillon Collection was discovered rotting away on the property of Roger Baillon, a highly successful transportation industry businessman. Cars found on his land—the majority of which his children reportedly did not even know existed—have commanded in excess of $28.5 million at auction. Highlights include decaying beauties like this Talbot-Lago T26 Grand Sport Coupé, which was one of the world's greatest cars just after World War II. Not every vehicle that is an awesome barn find has to be highly valuable. The amount of joy that car hunters feel when they discover something that is cute and classic, like this 1972 Mini Cooper, can be (well, almost) as fun as finding something worth millions of dollars. The story behind the finds ends up being worth some attention—regardless of auction potential and glowing money signs—though the discovery of this Mini Cooper that had been rotting away in a Citroen mechanic's garage leads to more questions than it does answers. Back in the 1960s and 70s, Hertz partnered with Shelby to offer his Mustangs as rental cars. The genius of the move allowed Shelby and Hertz to bring a "Rent-A-Racer" to the general public, who otherwise would be unlikely to ever see, much less drive, one of the iconic Shelby Mustangs. Marketing and sales were the expected outcome, but no one could have foreseen the eventual value of the GT350H models decades down the line. This barn find was one of 223 1968 Shelby Mustang GT350H examples and will cost a ton more than the original rate of $17 per day and 17 cents per mile that it took to rent the supercar. 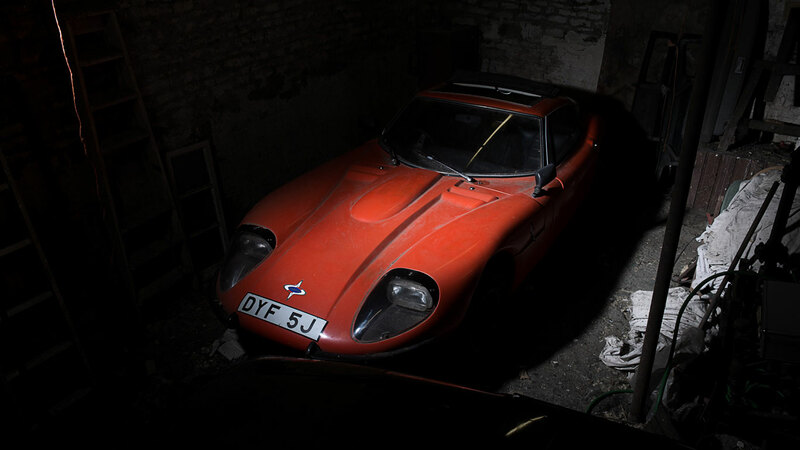 Lurking in the shadows of a dark barn is a rare kit car that even most automobile enthusiasts will scarcely recognize. That logo on the front and those iconic, swooping lines are the tell-tale signs of one of the UK's best-kept secrets, the Marcos GT. Introduced in 1964, the Marcos GT was a kit car intended to be built up on a wooden chassis and a Volvo P1800 engine. Some were also built with Ford inline-fours and V6s—and the kit would be revised again and again as it served as the basis for a car that would eventually compete in the 1995 24 Hours of Le Mans race. It seems like there's about a zero percent chance that a vintage Aston Martin could have been left to deteriorate in a barn, and yet this DB4 Convertible suffered that exact fate. Related to the DB5 driven by James Bond, this roadster got the opposite of star treatment, having been in 'storage' from 1979 to 2011. The DB4 was a solid performer when new, with disc brakes at all four corners and a twin-cam, 240-hp inline-six that allowed the little car to accelerate from standstill to 100 miles per hour and then brake to a stop, all in under 30 seconds. In the early 1960s, this was the only car capable of such a feat. Few cars define an era like the original Chevrolet Corvette. This was before muscle cars, when smooth style and looks were, perhaps, more important than outright power. It wouldn't be until the second generation that the Corvette would go from a shower to a grower, and the original gen is actually not that great of a performance car. And yet, there's no denying that this Corvette would be a wonderful barn find for any enthusiast, even with the borderline unfathomable amount of work it might require to get running. Sleek, low, and mean, the Ferrari Dino is a staple of automotive engineering. For a Ferrari, it approaches the status of being the brand's true mass-production model—still, finding one in a barn is sure to highlight just how rare these cars are in the world today. Amongst multiple iterations, the GTS shares the V6 engine with the GT but with Targa tops rather than a coupe layout. Earlier cars may be more valuable, having been built out of aluminum, and they surely would have less rust issues to consider after a long time spent in a barn. The MG MGB is a tiny sports car that nonetheless has quite a following. Built in the UK, the model's production run stretched over four decades, from the 1960s to the 1990s. This roadster looks like an earlier version, likely equipped with a 1.8-liter inline-four. Whether it was blue originally and received a respray in red is hard to tell, but what's certain is that this poor MG is probably well beyond saving. Known for reliability and rust issues even when well cared for, these cars (and most from its home country) are not prone to staying strong during long periods of neglect. The AMC Javelin may fit somewhere into the muscle car category but in reality, only the top-of-the-line examples equipped with a 315-hp, 6.4-liter V8 were really worth the time. This early Javelin came in SST trim, which brought a bit more luxury to the lineup rather than any performance goodies. Given that AMC transitioned into Chrysler by the 1990s, it's probably a stretch to think that this severely neglected coupe is worth resurrecting, especially given the wide variety of surviving competitors. At first glance, this C3 Corvette seems like it's in great shape. In fact, it's even a 1978 Silver Anniversary edition, built to celebrate the Corvette's 25 years of production. And a nice detail that will sound like music to the ears of any collector is that it was found with only 4.1 miles on the odometer! But take a step back and remember that the C3 was truly only an exercise in style and that under that hood lies an engine that was disappointing even for 1978. Shelby products are beloved by gearheads worldwide, so it's fairly surprising how many have ended up in hoarders' backyards, barns, and sheds just waiting for a restoration. But of all the chicken farmer from Texas's products, this Mustang is probably among the least desirable candidates for a restoration project. That convertible top has probably contributed to a terrible deterioration process, meaning that what could have been a king of the road is probably a nest for rats by this point. Of all the cars to stumble upon as a barn find, perhaps the most disappointing discovery would be a Ford Pinto. It's hard to believe this Pinto even managed to spend the long years without crumbling into a pile of dust—though perhaps this is one tough survivor that's the exception to the rule that Pinto's are, in general, heaps are trash to begin with. And yet, there's something amazing about a car with such a notorious reputation—it's a safe bet that there's an enthusiast out there ready to take on the dubious honor of bringing this Pinto back to life. Please, don't. Given the state of the Porsche 911 in the background, it's somewhat surprising that this Ford Capri and that Jaguar parked next to it are in such questionable shape. But then again, a Porsche 911 is a solid investment, a wonderful driver's car, and a reliable machine—the Jag and the Capri certainly are none of the above. 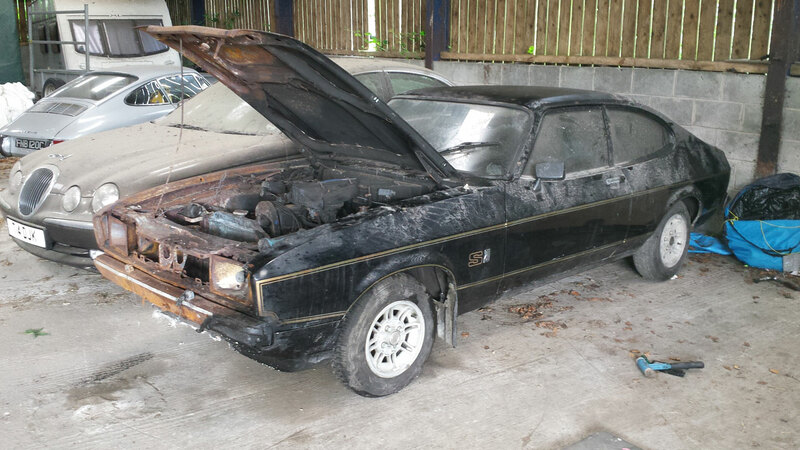 This Capri left the factory in 2.0S trim, which was a relegation of sorts that occurred in the 1984 model year. The 1980s were a rough period for every Detroit manufacturer, and this Capri is definitely not worth the effort it would take to bring it back to life. This Nissan Cherry nameplate covered two different models of Nissan products in Europe. In this case, the Cherry name was shipped to Europe smacked onto the car the rest of the world knew as the Pulsar. 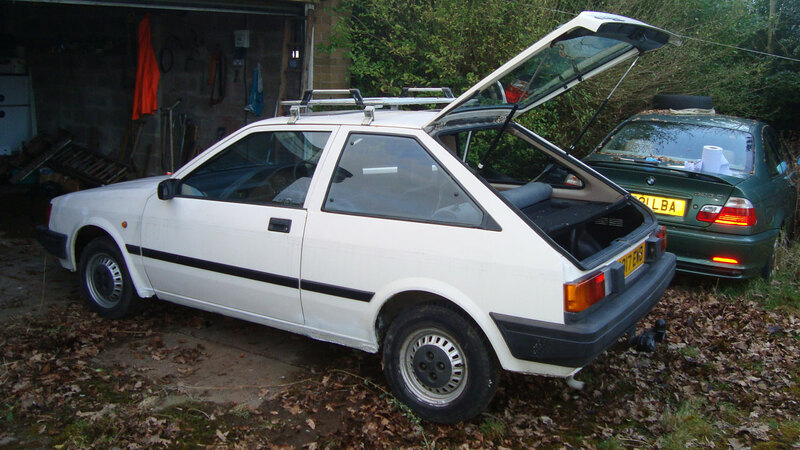 And while there were a few desirable generations and iterations of the Pulsar over the years (like the homologation-special GTI-R), this mid-1980s hatchback certainly isn't one of them. If its owner treats their E46 BMW visible in the background like that, think of how neglected this poor Nissan was over the years. 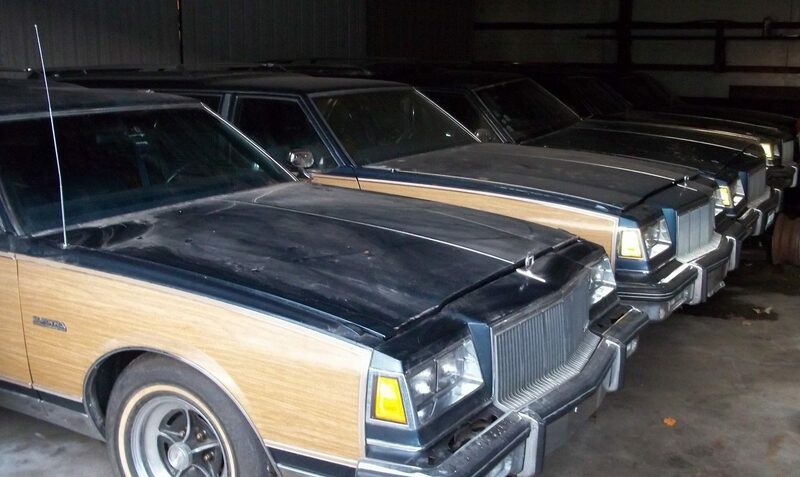 If huge, boat-like, wood-grained, boxy station wagons have ever been popular, be glad that era has passed. Somewhere between real, beach-inspired Woodys of the 1960s and the economic recession and gas crises of the 1980s, the spark went out in the minds of Detroit's designers. These four Buick Electras found together in a barn should probably be sold as a set after being discovered, if nothing else so their potential owner can have plenty of spare parts on hand before they undertake such a dubious restoration project. The Lincoln Town Car may have been a staple of this country's roads for decades, but that's exactly why this barn find should have stayed hidden. There's simply no point in restoring a car that was ubiquitous, even if it's in relatively okay shape after a long period of rest. But even spending the cash to clean this car up before taking a peek under the hood would be silly; there are plenty of Lincoln Town Cars out there for sale right now that would cost less than even a perfunctory once-over by the local mechanic. BMW's early models are often lost in a haze, as the manufacturer seemed to truly come into their own in the 1980s. But classic BMW examples are often strikingly beautiful and were considered impressive sports cars in their day, even if very few withstood the test of time. This 1937 BMW 328 has the sumptuous lines of a smooth sports car and as one of 61 lightweight versions, it could have been a solid piece of a car collection had it been kept in livable shape. Unfortunately, it looks far beyond saving. Domestic drivers won't recognize this Volvo unless they spent plenty of time in Europe during the late 1980s and early 1990s. In that case, they've probably had some serious fun—but this Volvo was definitely one detail they won't have remembered about three decades later. With pop-up headlights, a hilarious design profile, and a boxy hatchback design that has not aged well (to say the least! 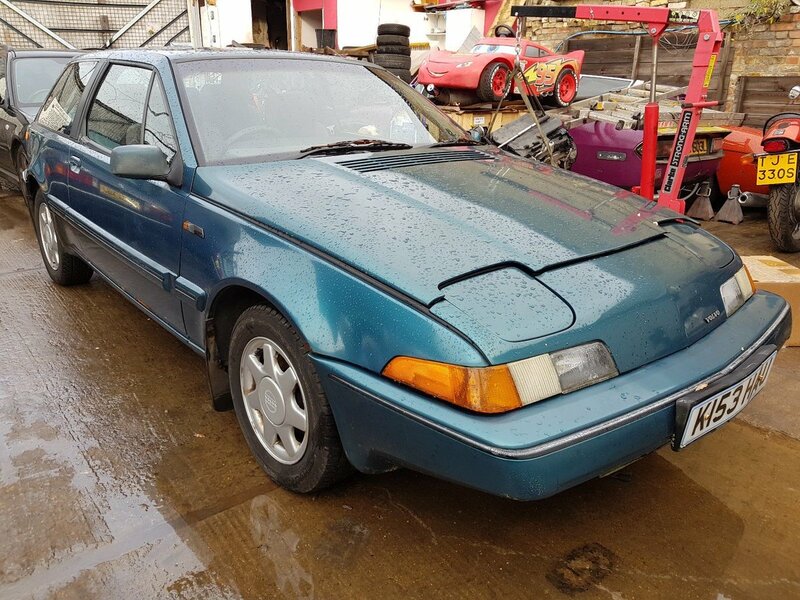 ), there's a good reason this model never made it to the States, and that's reason enough to avoid this barn find entirely. This Lada Niva looks like a teacher told it to sit in the corner with a dunce cap on its head. The USSR-built Lada Niva was a jack-of-all-trades car for its home country and was little known anywhere else. Much like the Fiat Panda, another economical (read: cheap) little 4x4 for the masses, the Niva combined shoddy build quality, lightweight materials, and a pitifully underpowered engine. Years out on the snowy roads may actually have been worse for this rally-prepped Niva than sitting in the corner looking glum, but these are not cars that should be restored, ever. Sources: Hemmings Motor News, Wikipedia, and Bring a Trailer.